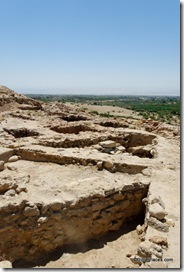 BiblePlaces Blog: Tall el-Hammam: Sodom, Abel Shittim, Abila, or Livias? Tall el-Hammam: Sodom, Abel Shittim, Abila, or Livias? In review, our site was a major city from earliest times. It may be one of the oldest cities mentioned in the Bible, in the Table of Nations (Gn 10). Maybe it was Sodom from those earliest days up to the time of Abraham, well over 2,500 years. Then, after its destruction in the Middle Bronze Age, and with no evidence of occupation for over 500 years, it may have been known as Abel Shittim (“meadow of the acacia trees”) at the time of Moses. During the Iron Age, a city was built on the upper tall, and it is a reasonable candidate to be the capital of Solomon’s twelfth administrative district, in sight of the Mount of Olives at Jerusalem, Solomon’s capital. In New Testament times, a new city arose around the base of the talls and may have been Abila or even Livias (Julias), the capital of Perea. Finally, our site may be one of the unnamed sites on the Madaba Map. 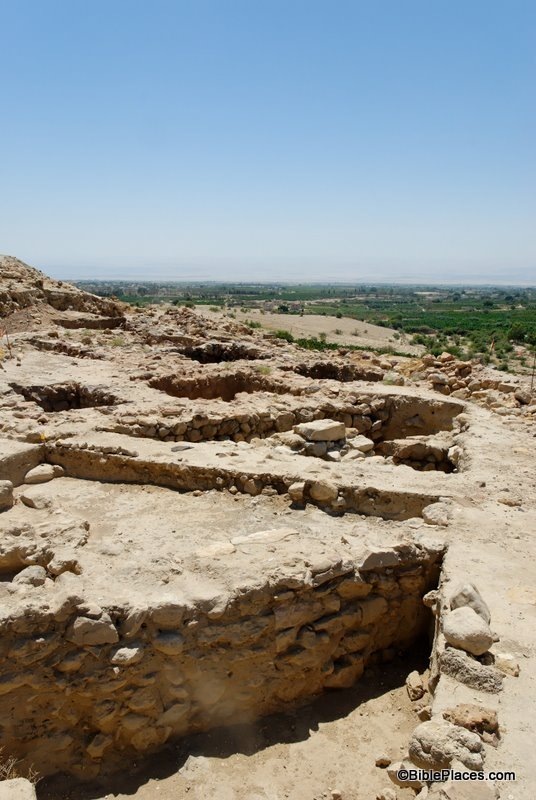 Whatever our excavations and research may eventually tell us, there is no question that Tall el-Hammam was an important site throughout the Biblical period. During each period of history, it stood as a quiet witness to some of the Bible’s greatest people and events. One might also want to read Dr. Bryant Wood's excellent review of the Tall el-Hammam project as a candidate for Sodom in Bible and Spade, "Locating Sodom: A Critique of the Northern Proposal", 20:3 (Summer 2007), pp. 78–84. In his article, Dr. Wood states claims Tall el-Hammam is a candidate for Sodom go beyond the available evidence. You can view Dr. Collins' response to Dr. Wood's critique of the northern Sodom view in the archaeology section of www.biblicalresearchbulletin.com. It seems to me that Wood's claim is the one lacking any evidence. Gary Byers has provided a good survey of the possible occupational layers for Tall el-Hammam and pointed out the value of this important site. I have argued for 25 years that Bab edh-Dhra is a good candidate for Sodom (Southern Location) but recently having worked as a square supervisor at Tall el-Hammam for five seasons and examined the evidence first hand at both sites and I have changed my opinion to represent Tall el-Hammam (Northern Location) as a better local for one of the Five Cities of the Plain (Biblical Sodom?). Apart from the geography found in the text (east of Bethel and Ai), the strongest archaeological argument is that Bab edh-Dhra only has early bronze occupation and destruction, with no Middle Bronze occupation while Tall el-Hammam has both EB and MB occupation with a massive destruction in the MB strata with no LB occupation (cursed?). It is almost unanimously agreed that Abraham lived during the MB period in which case of the two sites only TeH fits the criteria necessary by both the geography and archaeology. Concerning the identification of TeH with Livias in the Roman period see our (Dr. Scott Stripling and Dr. David Graves) upcoming article in Levant the annual archaeological Bulletin of The Council for British Research in the Levant.